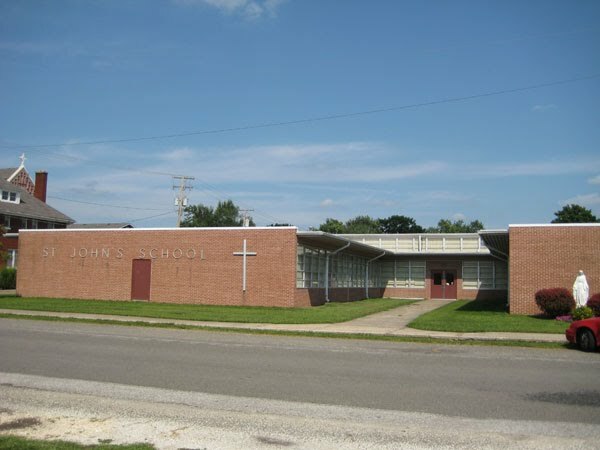 St. John the Evangelist School is one of many Catholic schools overseen by the Office of Catholic Education in the Diocese of Springfield, Illinois. Our school is accredited by the Illinois State Board of Education. We provide an outstanding learning environment to children in Pre-Kindergarten through Eighth grade. We believe that through our ministry we continue the mission of Jesus Christ by enabling the students of St. John the Evangelist School to develop the gifts given to them by the Spirit. With God in our presence, we strive to provide and education based on the Roman Catholic tradition, in a faith-centered environment through the teaching of Christian values, the promotion of spiritual growth, and the total development of each student. Please click on the SchoolSpeak icon below and then select School Policies & Handbooks along the left side of the page in order to access the Wellness Policy. St. John's is accepting applications for new students entering K-8 until April 13, 2018. Please click on the SchoolSpeak icon below to access the Enrollment Packet.